Unique & multi use get your logo printed on Custom Yoga Mat Kits. Double exposure print - both the gym bag and the mat carry bag. Gray, Blue and Purple. Stitching on bag matches. The yoga mat not printed. Mat is 24" W x 68" L.
Delivery from date of a custom order 3 weeks. Price includes one color imprint on both components. 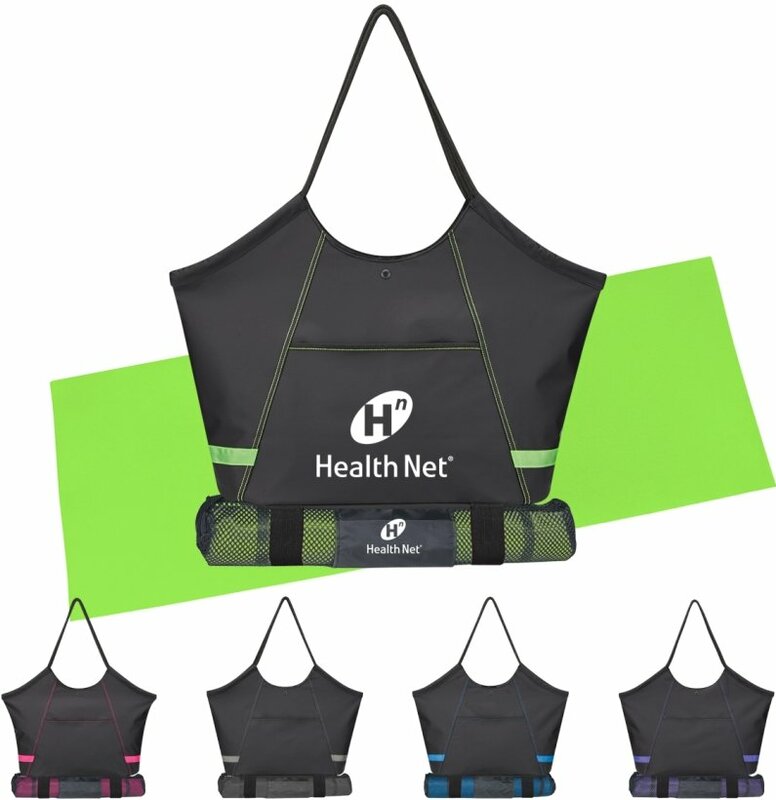 Gym Bag - 8" w x 6" H. Mat Bag - 4" w x 3" h.
Logo requires a Illustrator ai, eps or pdf art.